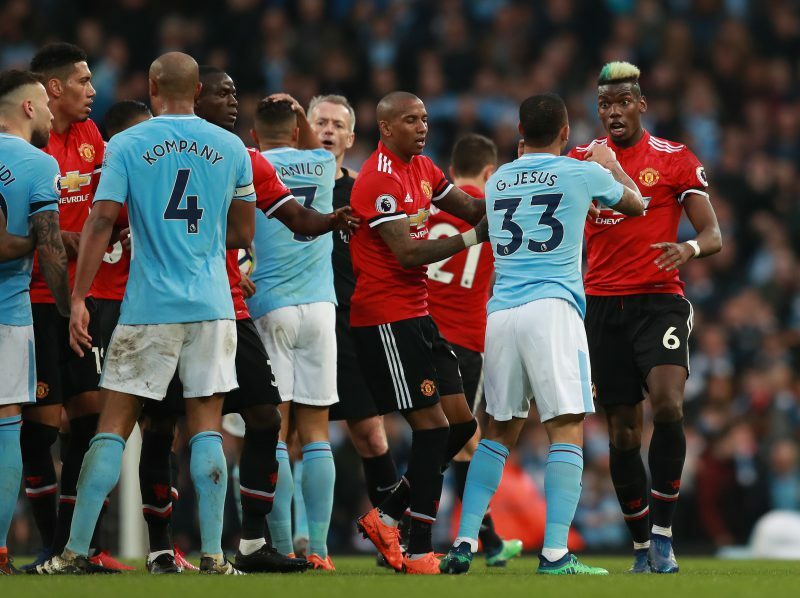 Manchester City will finish 34 points ahead of bitter rivals Manchester United at the end of this season, according to spread betting firm Sporting Index, which would be the biggest lead the blue half of Manchester would have over the Red Devils since David Moyes’ disastrous 2013/14 campaign. While Pep Guardiola’s side remain unbeaten in league action and top the table on 41 points from 15 games, Jose Mourinho’s men languish in eighth spot on an underwhelming 23 points from the same number of matches played. And now the traders at Sporting Index have crunched the numbers and have calculated that the Citizens should finish on a total of 98 points on the way to winning back-to-back titles, while the Red Devils are expected to end the season in sixth place on 64 points – 34 points behind their ‘noisy neighbours’. The Old Trafford side have dropped points in nine matches since the start of the campaign, drawing all of their last three Premier League matches to Crystal Palace, Southampton and Arsenal. Meanwhile, City remain unbeaten, with the Etihad side winning 13 and drawing two in this campaign. Neville Burdock, head of trading at Sporting Index, said: “Two more points dropped at home to Arsenal signals that United continue on a downward spiral, and the league table doesn’t lie with United sitting in eighth spot and 18 points off City at the top of the table. The Red Devils are now closer to the bottom of the table than the top.